These shirts look similar to a university/college style of t-shirt. 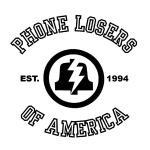 The front includes the PLA Bell logo with the words “Phone Losers of America” and “EST. 1994″ which is the year the PLA began. 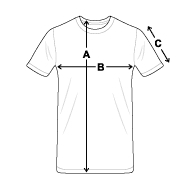 If you're going to change the color on this shirt to anything other than white, be warned that the source images have a bit of white around all of the lettering and logo, so if you make the shirt too dark of a color, some of this white around the edges may be visible. It may look cool or it may look horrible. Best to stick with light colors, just in case.